The Event of Champions is coming to Dublin with World Class Speakers, Content Rich, Life Changing Information including people from around the world. This event promises to be unforgettable! 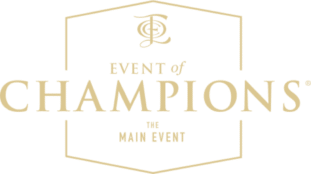 The Event of Champions offers you high-energy, mega-impact, real-world knowledge that is empowering, inspiring and immersive. It’s thrilling to be among the chosen for 3 days. At the Event of Champions, you get up close and personal with our speakers as you learn from those who have accomplished their dreams, form possible collaborations, joint ventures and leave with the knowledge that you can immediately implement for success. Our ‘Champions Hour’ can give you the opportunity to showcase your business before the entire audience. As you engage in our Private Dinner and Private Mastermind, you can network with the BEST & BIGGEST names in Personal Development, Financial Education, Law, Marketing, Networking, Entrepreneurship, and Sales as you learn how to start, build, run and grow a successful business or brand both locally and internationally. Enjoy an exclusive private dinner with our guest speakers at The Shelbourne in Dublin, as you enjoy Champagne, Canapés and Drinks then a 5 Course Dinner plus Private Time with our Speakers, Guests, Top Global Entrepreneurs, Trainers, Millionaire Business Owners and World Changers. Exclusive mastermind with Camilita & Andrew Nuttall. Mastermind Session with Camilita Nuttall (Sun 6th Oct). At our Champions Hour, you get the exclusive opportunity to promote your business in front of the entire audience, pitch your business idea, ask for leads or connections, deliver a short 5-minute presentation, share your products and services and potentially get new business on the day! This can potentially greatly increase your company’s exposure and generate additional revenue. Learn more about our Champions Hour here. I’m here at the Event of Champions, It’s been an awesome weekend, having had some great speakers, a lot of coaching and a lot of really interesting people to promote your business to. Here’s why you need to be at the Event of Champions, if you’re just starting out or you have an established business, this is the place to be. Not only do you get great tips for building your business but you build a contact list with a series of entrepreneurs from all over the world that can help you grow. So be here, be here next time. What an amazing event the Event of Champions, so privileged to have spent time talking to high net-worth people. The whole weekend was amazing plus I connected with so many other amazing speakers. Thank you Camilita Nuttall for being so humble and connecting me with other people that will help my business. I’m here at the Event of Champions and what an amazing event and an amazing opportunity to be in a room full of champions. You have to ask yourself, are you in with the right people? I can tell you that if you have not been to this event, you’re not with the right people. Don’t miss the next event Event of Champions. You don’t want to miss Event of Champions Dublin! Ready to take your life and business to a global audience? Then it’s time to invest in YOU at the Event of Champions Dublin, 1st – 3rd November 2019. BOOK NOW. 10 available	 Private Dinner at The Shelbourne - Thu 3rd Oct €997.00 Enjoy an exclusive private dinner with our guest speakers at The Shelbourne Dublin, as you enjoy Champagne, Canapés and Drinks then a 5 Course Dinner plus Private Time with our Speakers, Guests, Top Global Entrepreneurs, Trainers, Millionaire Business Owners and World Changers. 10 available	 Private Mastermind Session with Camilita Nuttall - Sun 6th Oct €597.00 Exclusive mastermind with Camilita & Andrew Nuttall. 3 available	 Champions Hour - Sat 5th Oct €1,997.00 At our Champions Hour, you get the exclusive opportunity to promote your business in front of the entire audience, pitch your business idea, ask for leads or connections, deliver a short 5-minute presentation, share your products and services and potentially get new business on the day! This can potentially greatly increase your company's exposure and generate additional revenue. 3 available	 Private Dinner at The Shelbourne (3rd Oct), Platinum Ticket (5th Oct) & Mastermind with Camilita Nuttall (6th Oct) €1,797.00 Package deal includes: 1 ticket to the Private Dinner with Speakers at The Shelbourne (Thu 3rd Oct), 1 Platinum ticket to the Main Event (Sat 5th Oct) and 1 ticket to the Mastermind Session with Camilita Nuttall (Sun 6th Oct). 2 available	 Prime Location: Promotional Stand €1,997.00 6ft promotional table to promote your products and services on the main event day (Sat 5th Oct) in a prime location, 1 VIP Ticket to the main event (Sat 5th Oct), Link to your business on the event website and social media for exposure to your business, Space to put up 2 banners next to your table on the main event day to further showcase your business (Sat 5th Oct).